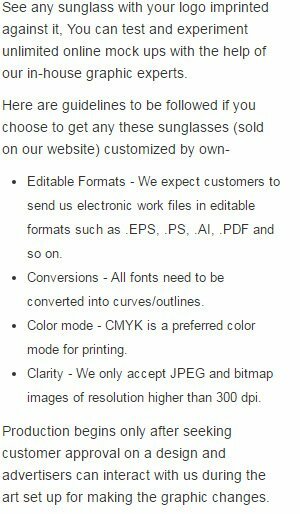 Customized Blues Brothers sunglasses – green are roaring hit and advertisers are ordering them in large numbers for corporate gifting! This green sunglass reminisces about the trendier 80’s when people loved to wear cooler shades. Green activists, environmentalists, science clubs, hotels, restaurants, sports clubs – are some of our clients who have been ordering logoed promotional Blues Brothers sunglasses in large numbers. Another great thing is that this sunglass is that it offers UV 400 protection and can be easily teamed with any clothing and worn to beaches, football matches, destination weddings, and other events, when a person to spend long time in sun. Advertisers can utilize the imprint area of 2" X 5/16" for expressing their brand messages or greetings. Personalized Blues Brothers sunglasses –green stands very high chances of retention as they never go out fashion!